See how much how you can save on our saving calculator. Click here. Up to 45 % Off Sale on selected Product Ranges while stocks last! 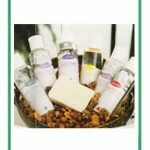 Free Luxury Soft WaterSoap Pack worth 349.00 Euro! A Years supply of personal care products and household cleaning products. All designed to work with softened water, so these products are free from harsh chemical based softening agents. LanoSoft GentleWave Oatmeal Bar Soap – cleans your skin while it replenishes your skin with moisturizer and other rich and refreshing ingredients. The Gentlewave Oatmeal Bar Soap Contains: Oatmeal, Vitamin E, Aloe, Sodium Lactate and a Fresh Almond Fragrance. # LANGWBS GentleWave is a hard milled soap created to wash the skin gently and effectively. It also has moisturizing benefits and features a fresh, natural fragrance. The long-lasting bar lathers to a rich full-bodied head and rinses away easily in conditioned water (soft water). Daily use can keep your skin velvety smooth. We all love this soap. LanoSoft GentleWash Antibacterial Liquid Soap – Will leave your skin feeling cleaner, softer and healthier. The gentle formula contains the finest natural ingredients to cleanse, moisturize and protect skin. A gentle , effective antibacerial cleanser for the hands, face, and body. This rich blend of soap and skin conditioners rinses off easily and leaves your skin clean and soft. Specially formulated for use in soft water homes. Order the optional pump that screws right into the gallon jug for easy and convenient use. Great soap and a real money saver. Lanosoft Radiance Shampoo – LanoSoft Radiance shampoo is made from papaya extract and kelp. Just a little drop goes a long way with a rich lather that cleans and conditions, leaving hair soft, lustrous and manageable, all with a ph balanced formula. Specially formulated for use in conditioned water (soft water). Order the optional pump that screws right into the gallon jug for easy and convienent use. Treat yourself to the best and save. Lanosoft Starbrite Liquid Dish Soap – Formulated specially for soft water. StarBrite liquid dish soap has unique soil emulsifiers and soil-suspending agents that remove the most stubborn foods and grease while preventing streaks, spots, and etching. As little as a teaspoon wipes out greasy residue and dulling film from the day’s dishes. StarBrite is extra gentle for soft, smooth hands. One gallon provides up to 664 daily cleanings. LanoSoft StarbriteDishwasher Liquid/Powder – As little as one teaspoon wipes out greasy residue and dulling film for an entire day’s dishes. StarBrite automatic dishwashing powder is phosphate free and therefore will not etch glassware. Both starbright products have unique soil emulsifiers and soil suspending agents that remove the most stubborn foods and grease while they prevent etching, streaking and spots. The Water Treatment Centre is a fully Irish owned family run business.